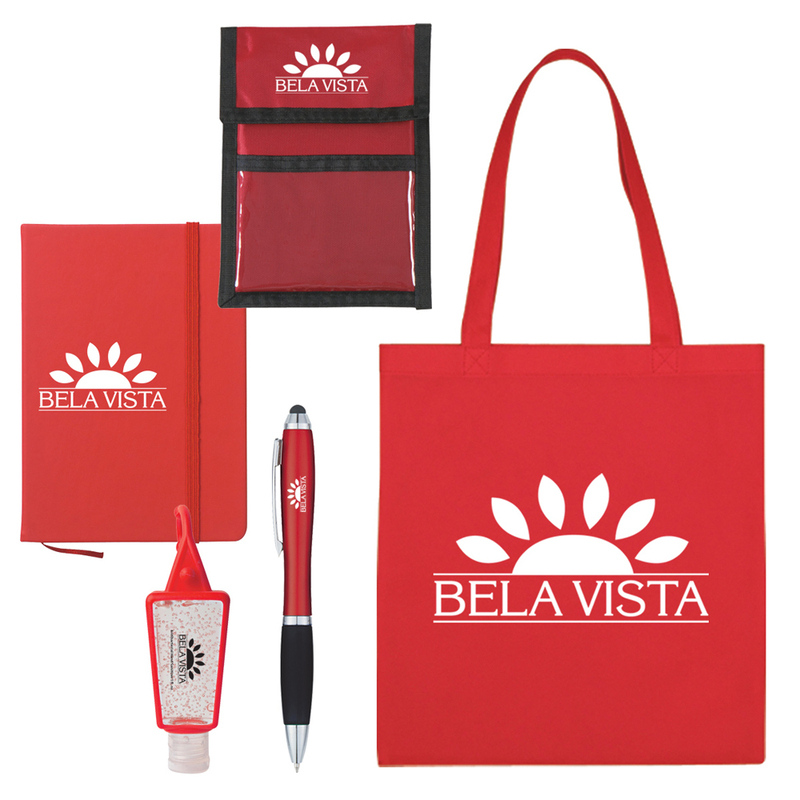 In addition to being an in-house decorator of custom apparel, Koala Tee is also a wholesale distributor of thousands of custom promotional products and gifts that are produced throughout the country. Since these ad specialty suppliers only sell through wholesale distributors like Koala Tee, we take care of everything for you… pricing, ensuring deadlines are met, artwork approvals, and shipping details. If you’d like us to make product recommendations, please contact us via phone or our website for assistance. Badge holders, backpacks, bags, balloons, beach balls, bottled water, bracelets, buttons, candies, calculators, car chargers, carabiners, cell phone accessories, chip clips, coasters, coolie cups, ear buds, fans, first aid kits, flash drives, flashlights, food gifts, footballs, games, glow products, grocery totes, hand sanitizers, highlighters, jotter notebooks, keychains, key lights, lanyards, letter openers, lint removers, lip balm, lotion, luggage tags, magnets, Mardi Gras beads, mints, nail files, napkins, noisemakers, pedometers, pencils, pens, pill cases, plastic bags, rulers, screen cleaners, sewing kits, soaps, sports bottles, stadium cups, stickers, sticky notes, stress relievers, sunscreen, tablecloths, tape measures, tech products, tote bags, water bottles, wet wipes, wristbands, and more. Beverage coolies, bar accessories, balls, bottle openers, bumper stickers, coffee mugs, cold packs, collapsible chairs, coolers, coolies, drinking glasses, fanny packs, frisbees, golf accessories, lunch coolers, pet products, playing cards, ponchos, rainwear, selfie sticks, sunblock, sunglasses, stuffed animals, totes, towels, travel mugs, yoga mats, and more. Awards, beverage glasses, BBQ sets, blankets, briefcases, business card holders, calendars, coasters, coins, computer mouse, cutting boards, desktop accessories, flash drives, golf balls, hard hats, headphones, housewares, knives, lapel pins, laptop sleeves, luggage, jewelry, journals, memory sticks, notebooks, pens, picture frames, plaques, portfolios, power banks, rolling cooler bags, spa products, speakers, stationary, stylus pens, tools, tablet cases, travel gifts, tumblers, umbrellas, USB ports, wallets, watches, wine accessories, and more. Remember, the more you plan ahead for your special event, the better. Most products take several weeks to source/approve/produce, but there are some rush services available for certain products. Just send us a quick note or give us a call to let us know your time frame, budget, and target market, and we’ll be happy to direct you to the specific product links and pricing that best meet your needs.